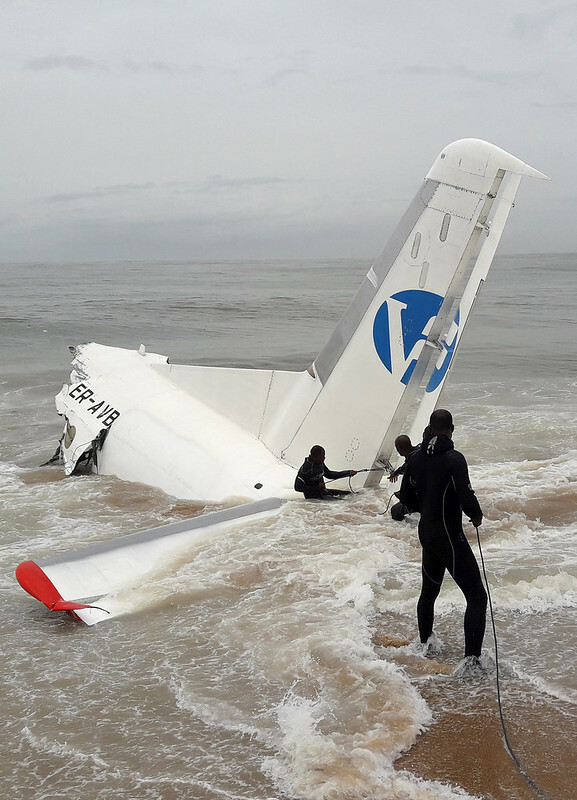 A cargo aircraft has crashed into the sea off Ivory Coast shortly after taking off from Abidjan’s international airport. Four people were killed and six were injured after a cargo plane chartered by the French military crashed into the sea shortly after taking off from Abidjan’s airport. The four dead are citizens of Moldova. Four French citizens and two other Moldovans were injured. Two of the wounded were reported to be in critical conditions. Different Ivorian security sources said French soldiers were among the passengers. Survivors have been taken for treatment at the French military base adjacent to the airport. 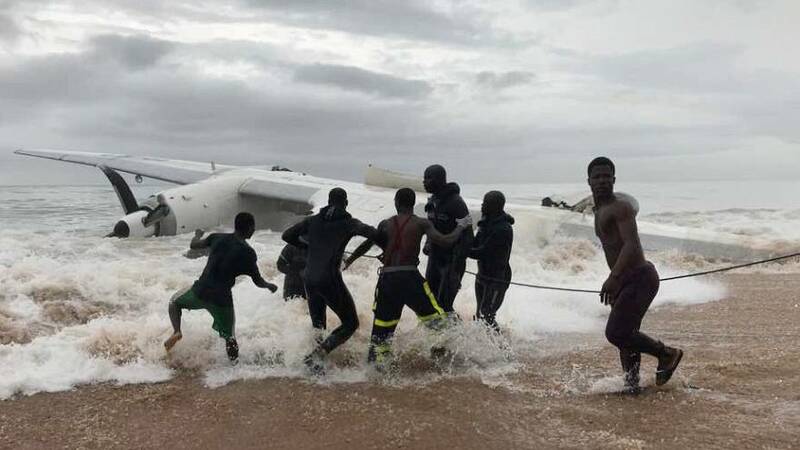 “What we can say for the time being is that this morning around 8:30 (0830 GMT), an Antonov plane crashed…with 10 on board including the crew members,” said Ivory Coast’s Security Minister Sidiki Diakite. The crash occurred during a storm with heavy rain and lightning and rescuers were hampered by rough seas. The French military operates a logistics base next to the airport in support of its Barkhane operation, combatting Islamist militants in West Africa’s Sahel region. “This was a plane chartered by the French army in the framework of the Barkhane force in order to carry out logistical missions,” French army spokesman Colonel Patrick Steiger said. The crash attracted a number of spectators, some of which have helped Ivorian rescuers to free the bodies from the wreckage.